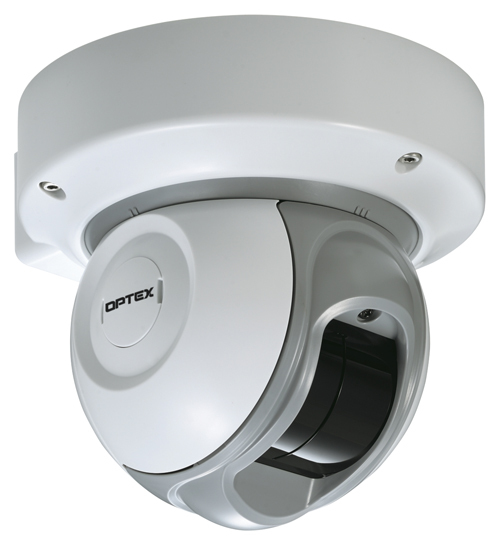 Optex is expanding its series of Redscan laser sensors with the launch of a new short range, indoor model that features the same benefits of its ‘larger’ companions but is lighter, more compact and has additional control and power features similar to those enjoyed by IP Dome cameras. The RLS-2020I is an indoor sensor using a laser that provides a customisable ‘virtual’ wall or pane with a detection area up to 20m (65ft) x 20m (65ft) to identify the presence of people or objects. It protects areas from security breaches such as intrusion, theft or unauthorised access as well as improving the reliability of video based motion detection and surveillance. By measuring the time it takes for the emitted laser beam to hit an object and reflect the signal back to the sensor the RLS-2020I can analyse the size, location and speed of the encountered object. The system can be set up to trigger only when a certain size of object is detected or when a distance threshold has been reached. The scanned technology used in the sensor is based on Class 1 laser technology used for industrial, safety and security applications and presents no hazard to health. It is not affected by any lighting conditions and will detect in complete darkness. The accuracy and precision of the detection makes it a perfect trigger to event-driven video surveillance systems, by driving cameras to pre-determined positions and ‘pointing’ to where the intrusion or presence occurs. A particular feature of the new scanner is its energy efficiency; it is Power over Ethernet (PoE) enabled, consuming only six watts of power. It is also reported to be very easy to set up, program and control. A web browser feature facilitates fast set up, while a more in-depth configuration can be achieved by using dedicated Redscan Manager software. It also features three programmable series analogue dry contact outputs, giving flexibility in programming specific commands including tamper, environment or alarm. The short-range laser can be integrated with Video Management Software (VMS), Network Video Recorder and Physical Security Information Management (PSIM) platforms.